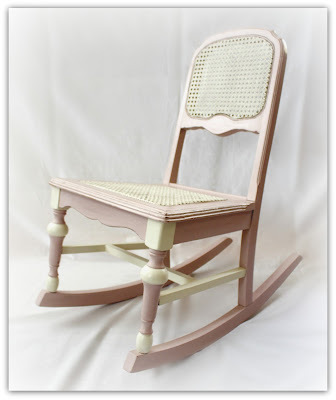 The original finish on this child's rocking chair was dark and dingy. I couldn't imagine it would brighten up a space for a child. So it called for a makeover with a bright and cheerful design. 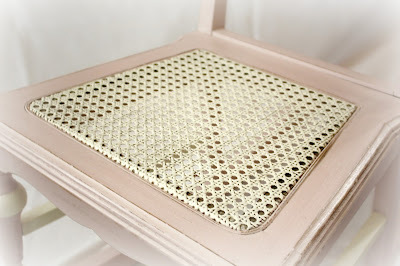 The chair itself was in good condition, but I didn't like the finish. The caned seat and back were thankfully in great condition. It had a brown crackle finish which I hand sanded off. I thought it would need a coat or two of shellac, but decided to apply one coat of paint first to test it. Luckily there was no bleed through and the shellac wasn't necessary on this piece. 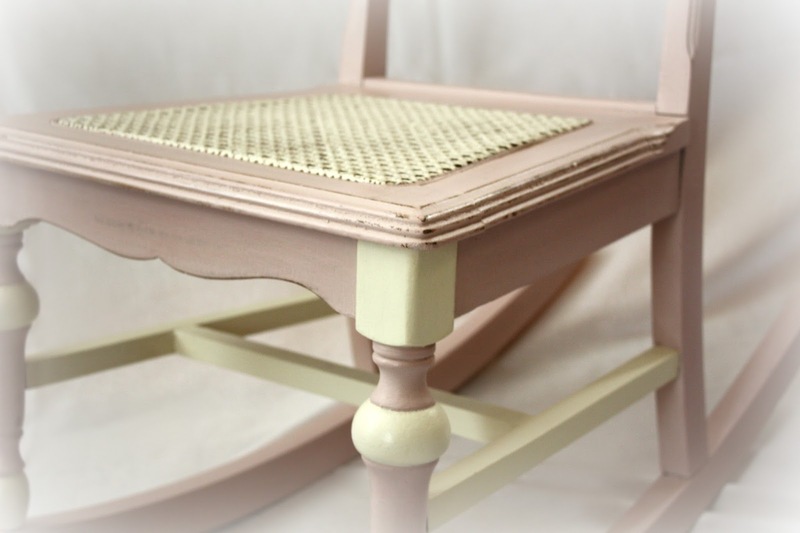 I choose a color scheme of Antoinette Pink with details highlighted in Old White (Annie Sloan Chalk Paint). 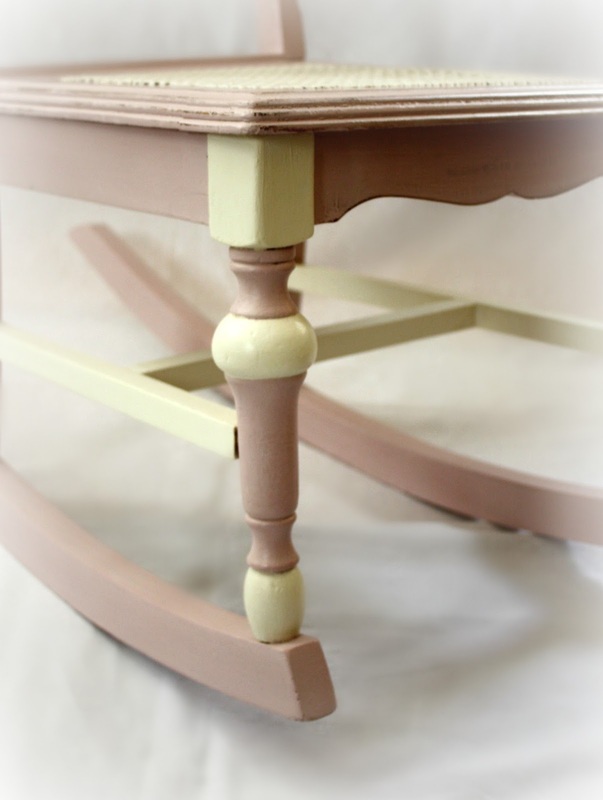 Details on the front legs and cross supports were painted in Old White. 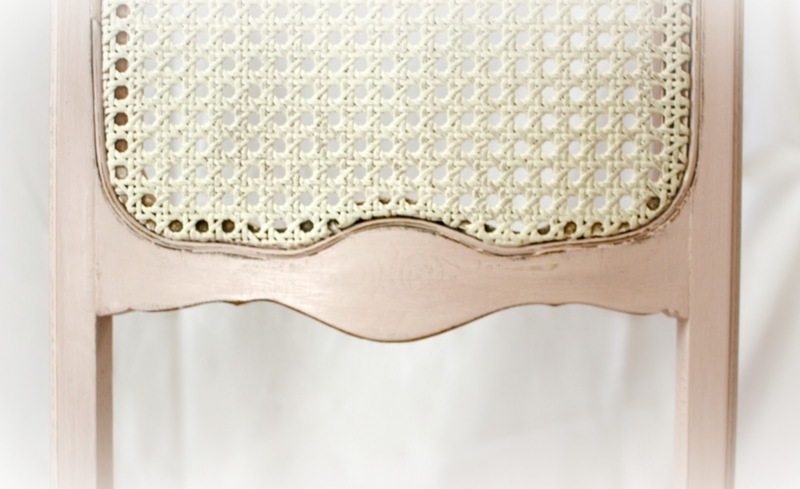 I added light distressing to the edges to accentuate the details and honor it's vintage charm. The caning on the back and seat were both in great condition. 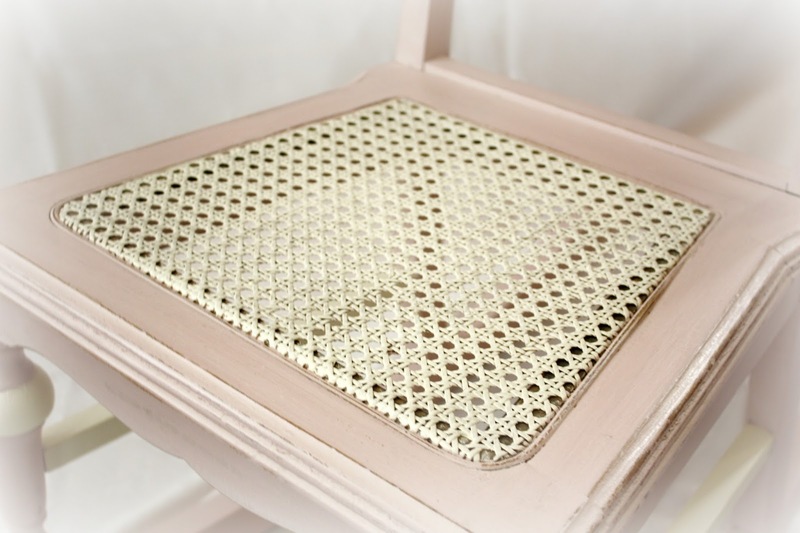 I sealed the entire chair with soft clear wax and buffed it to give it a subtle shine.